Most contracts don’t allow for extra costs without prior approval but Contractors (depending on the contract) cannot charge more than 15 percent above the original quote without being liable to the homeowner. A good contractor will know ahead of time of any major changes regarding your renovation and make sure you approve them. The days of handshake contracts are OVER. Nowadays, a contractor isn’t a contractor without a proper contract. Before hiring a contractor, review their proposal and quote. They should include every detail concerning the job, as well as their contact information. If anything is vague or unclear, it’s never a good sign. It’s best to move onto another contractor. 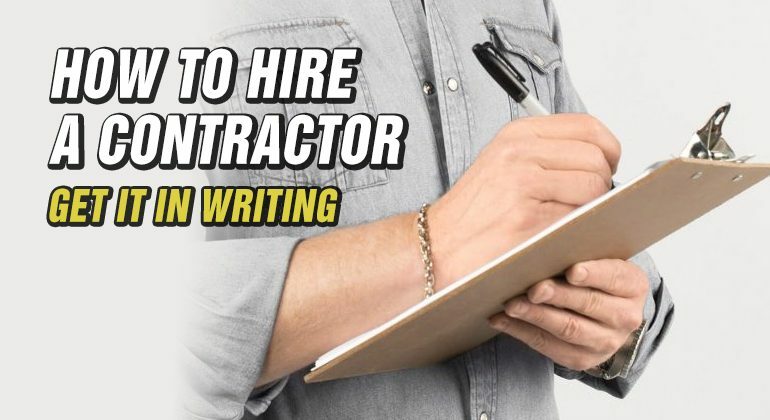 Here’s my cheat sheet on how to hire a contractor. A contract should be typed, legible, easy to read and ALWAYS reviewed by a legal representative. There should be no fine print. And remember – trust your instincts. If it doesn’t feel right, it probably isn’t. It isn’t a bad idea for homeowners to include some terms in the contract, such as the times the property is available to them and that the contractor agrees to clean up at the end of each work day. This helps maintain clear lines of communication and expectations. Municipal governments issue permits for renovations, electrical work, plumbing and heating and cooling jobs. Unless stated otherwise in the contract, it is the homeowner’s responsibility – not the contractor’s – to obtain all of the proper permits for work completed on their property. By getting the proper permits homeowners ensure that municipal inspectors will examine the work completed on their home and that it meets minimum building code. Read more about why you need a building permit. Before any work begins, a contractor will ask a homeowner to secure the job with a down payment. It shouldn’t be more than 10-20 percent of the total cost of the job. Homeowners should never pay a contractor more than 10-20% before they’ve even stepped foot in their home. There are exceptions to the rule but they need a good reason, such as pre-ordering custom specialized materials, like cabinets. Homeowners should avoid payment schedules based on time. 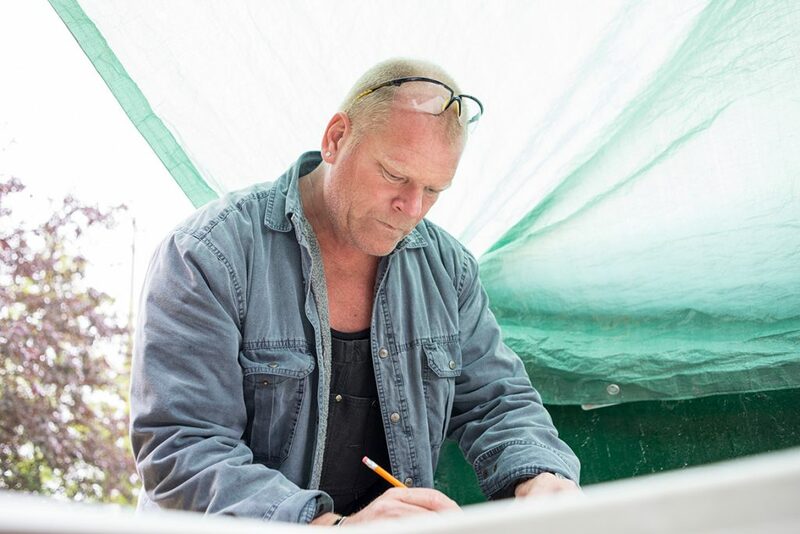 The best renovations are the ones that move forward at a good steady pace – conditions permitting – and the best payment schedules are tied to work completed. That means that any payment made to the contractor after the initial deposit must be in relation to how much work is completed but always make sure you “hold back” 10% on invoices to be paid at the very end of the job when all items are complete. Homeowners should agree to pay no more than 10-20 percent of the total cost of the renovation as an initial deposit, or on the first day when work begins. A second payment should be given when all electrical, plumbing and HVAC work is complete, followed by a third payment of when the insulation, vapour barrier and drywall have been installed. Another payment is given when priming and painting is finished, with the final 10 percent given once the homeowner is sure they are satisfied with the work completed. Homeowners can wait up to 30 days after the renovation is done to provide the final payment. This helps ensure that any problems that might arise within the first month get fixed. Payment schedules tied to specific milestones keep jobs moving forward. The most common milestones or stages are: Rough-in, drywall and completed. The rough-in stage refers to the point in a home renovation when anything that has to do with the foundation, subfloor, framing, sheathing and roof are done, and all the electrical and plumbing has been roughed-in. When everything but the finishes and fixtures have been installed related to electrical, plumbing and in some cases, HVAC. At this point, walls, flooring and ceilings have not been installed to allow for any changes or modifications, but all of the mechanics that go behind them are complete. The drywall stage is the point in the renovation when the drywall can go up and the contractor can start closing in on the job – that means all electrical, plumbing and HVAC is done. The last stage is usually called completed, but the project isn’t exactly 100 percent complete – it’s more like 90 percent. That’s why only 90 percent of the total budget should be in the contractor’s possession at this point. It’s a good idea for homeowners to hold onto the last 10 percent of the total budget as retention to make sure everything has been completed properly – they are permitted to do this by law. Once they know it is – usually no more than 30 days after the contractor has finished working on the job – they can deliver the final payment. It’s important that homeowners do not make a payment until each stage or milestone is complete. Contractors will work more efficiently if it means they will get paid sooner. If they have already been paid for work they haven’t done, they are less likely to make it a top priority. A contractor’s power is their work and their skill. A homeowner’s power is money. A contract that ties payments to completed project milestones sets out all the rules for the fair exchange of these two powers. If a homeowner hands over more money than the value of the work completed on their home, they can become vulnerable to the contractor postponing their job. In most cases, the contractor will work on other jobs that they still need to collect on. A good contractor wouldn’t do this, but then again, a good contractor wouldn’t ask for 50 percent of the budget for 15 percent of work. It goes a long way but it’s a two-way street – you have to give it to get it. Doing your due diligence is necessary, but at the same time, you have to be respectful. Not just with your contractor, but also with all the trades that work on your property. It’s not smart to be rude to people working on your home.